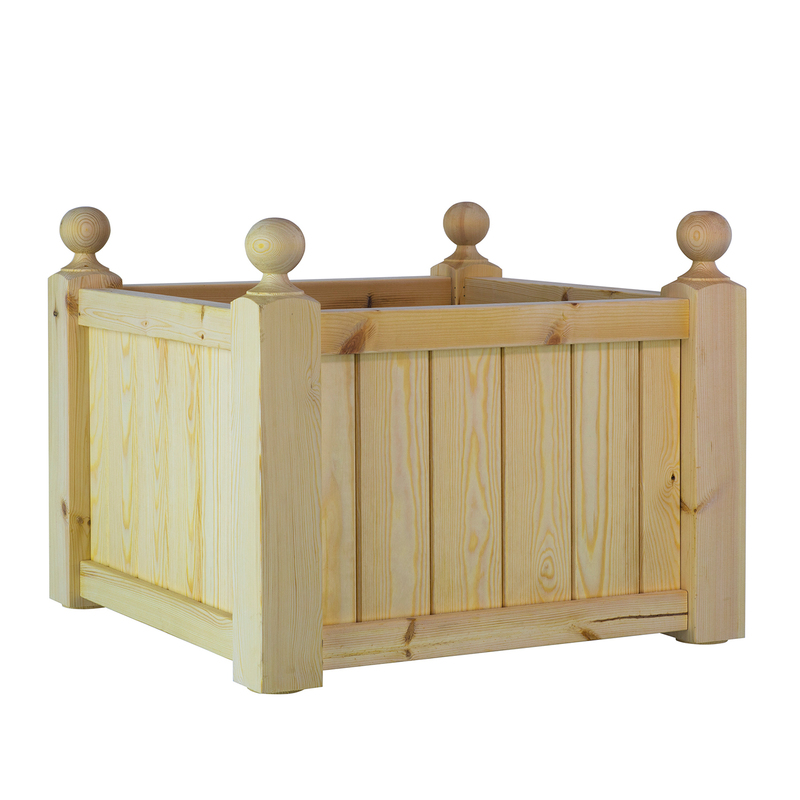 The Wooden Versailles Planter are a classic style planter. They are made from redwood as standard, GRP lined and painted or stained in a colour of your choice. 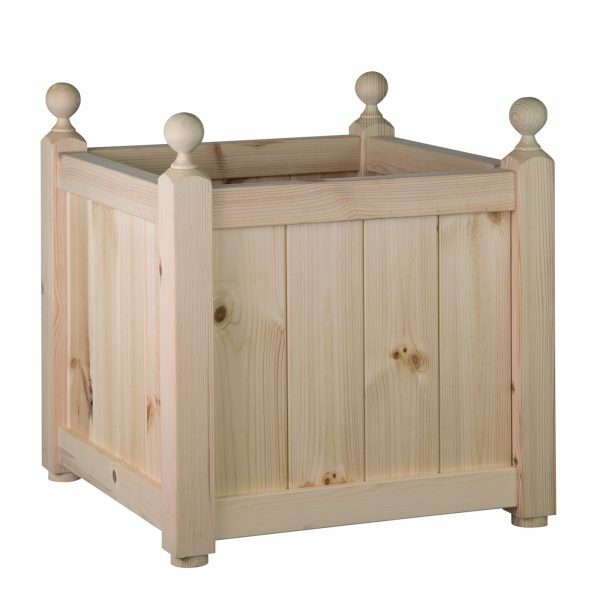 The Wooden Versailles Planter is a traditional style timber planter which can also be made from Hardwood. Choose from a wide variety of hardwoods, sustainably sourced (FSC) certified, for that luxury look. The choice of hardwood timber includes Sapele, Iroko, Cumaru and Western Red Cedar. Other timbers can be sourced. Each planter is handmade to order once the timber has been specified and GRP lined to avoid rotting from soil on the inside. 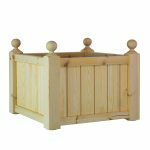 The Wooden Versailles Planter is made in three standard sizes and can be made in bespoke sizes. Perfect for the outside and entrance and the more traditional garden. The timber for the planter can be oiled, stained, painted or lacquered. Oil is available in a variety of colours or why not have the planter painted to match your exterior.